Ready To Do A Timeshare Cancellation? Are you an unhappy timeshare owner? If you have purchased a timeshare and feel like, “I want to cancel my timeshare”, make sure you understand that, you can’t just call the resort and tell them over the phone, I want to cancel my timeshare. 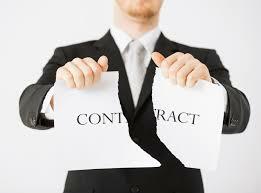 You MUST write a timeshare cancellation letter. However to do a timeshare cancellation within your legal rights of cancellation you have to write the timeshare cancellation letter, within the time period stated in your timeshare contract. 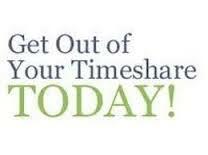 Now this timeshare cancellation period varies with each state so make sure you check your timeshare contract to find out if you are still within your legal timeshare cancellation period. Now this is where we start to pick up speed and its here where the BIG rub is, when a timeshare owner goes past the state’s timeshare cancellation period and then is still wanting to get out of the timeshare contract. Most timeshare owners phone the resort to see what can be done, to have their timeshare contract canceled and the resort tells the timeshare owners that nothing can be done at this time. The reason is, these timeshare owners have gone past the legal timeshare cancellation period as stated in the timeshare contract and NOW . . . they are stuck. Most of these timeshare owners have been led to believe that timeshare is a good investment, a real estate investment like houses or land, and because of this misleading by the timeshare resorts many of these timeshare owners start to think about selling their unwanted timeshare. Why wouldn’t they? If you have purchased a house that you later don’t want, you don’t look at the house and think it’s hopeless that you are stuck with the house for the rest of your life. No that’s silly. You have something that you don’t want or no longer use and you sell it, right? It’s a well-known fact that these timeshare resale company’s run one of the biggest timeshare scams on unsuspecting timeshare owners. All these timeshare resale scams pray on the false fact that the timeshare owner has purchased something of value (the timeshare week or points) and because of this it has resale value and can be sold. In fact many of these timeshare resale scams tell the unhappy timeshare owners that they have a list of buyers that are waiting in line to buy a timeshare just where the timeshare owners owns. Now that of course is wonderful news to these unsuspecting timeshare owners and many of them, jump real fast at the chance to unload the burden of their unwanted timeshare. The timeshare scam comes about when these timeshare resale scams charge the timeshare owners a BIG listing fee, knowing up front that the timeshare will never sell. Listen to me, before you sign up a pay a listing fee to a timeshare resale company, do a lot of research and find out what your timeshare is really valued at. I’m sorry to have to be the one to tell you, but you will quickly find out that the timeshare you purchased is worthless. If you own a timeshare and feel you have been involved in a timeshare scam and/or would like know how to cancel timeshare we can help. 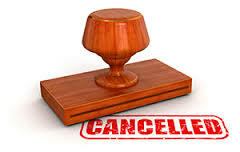 To Find Out More About Timeshare Cancellation . . .